Several recent papers have focused on new evidence pointing to the possibility of the mass procurement of guanacos in Fuegian pedestrian hunter-gatherer groups. These works are linked to the excavation of Las Vueltas 1 (northern Tierra del Fuego, Argentina), an archaeological site mainly characterised by a vast guanaco bonebed. This paper is part of that discussion, adding a new line of evidence over the zooarchaeological record using spatial statistics. Our hypothesis considers the formation processes of LV1 were caused by a communal hunting party, which implies the synchronous deposition of the guanaco assemblage in a single event. Consequently, the underlying spatial structure of the bonebed should be clearly identifiable, since neither superposition of events nor cleaning patterns are expected. Our proposal embraces an interdisciplinary approach and offers a practical methodology to address the general problem of analysing the spatial structure of an archaeological site, without additional, time-consuming analysis. The results of the different statistical tests have proved to be insightful about the formation processes of the LV1 bonebed, and they are consistent with the initial hypothesis regarding the functionality of the site as a guanaco mass hunting site. This research was funded by Consejo Nacional de Investigaciones Científicas y Técnicas through the PIP-CONICET 0302/12 (F.S.) and 0409/13 (M.S.). We wish to thank the technical and infrastructural support from the Centro Austral de Investigaciones Científicas. L. Turnes, P. Bartolome, R. López, A. Raies, F. Bruzzoni, J. Sartori, B. Colasurdo, J. Oría, M. Coll, G. pinto Vargas, M. Oronao, E. Llacsa, A. Montes and to all the students who helped us during fieldwork. Estancias M. Behety and Flamencos helped us with permissions to work there. Likewise, Dr. Daniel Rafuse, Dra. Julieta Sartori and Prof. Marcel Kornfeld provided valuable comments to the undertaking of the research presented here. We want to finally appreciate the input of the two anonymous reviewers and their useful comments and suggestions for improving the manuscript. Carrer, F. (2015). Interpreting intra-site spatial patterns in season contexts: an ethnoarchaeological case study from the western alps. 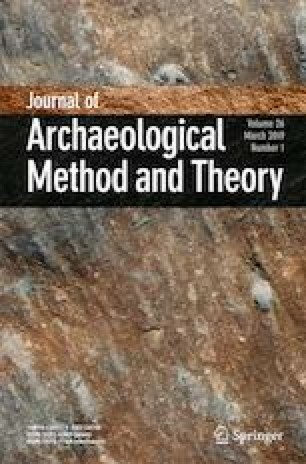 Journal of Archaeological Method and Theory doi. https://doi.org/10.1007/s10816-015-9268-5.